This newspaper book comes with an option for personalized inscription. You will prompted to personalize your book in the cart. Hardcover, 81 Pages. 15" x 12.25". Includes complimentary magnifier. Please allow up to 3 days for order to ship. Expedited shipping available. Please select option, below, before adding to cart. Standard order processing times still apply. Not valid on international orders. Celebrating the storied career of the Olympic great, Michael Phelps through the eyes of The Baltimore Sun. 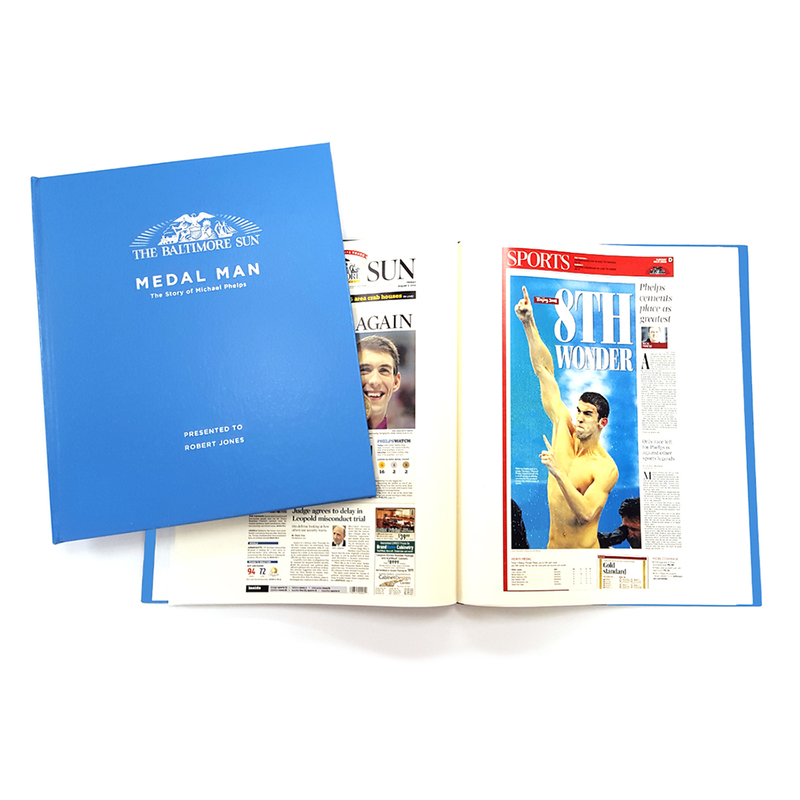 Coverage of the 2016 games will be included in your book!